At SureSafe we empower the elderly and those with a disability by providing them with personal alarm and medical alarm systems for emergency alerts and responses, allowing them to live life more independently and safely. Our devices are designed to integrate seamlessly with their owners’ lifestyle, keeping them safe without disrupting their daily routine. We offer a wide range of personal alarm and emergency medical alarm systems, ranging from mobile alert devices to more advanced monitoring systems for complete home coverage. Our personal alarm systems are designed to be as unobtrusive as possible, providing greater safety and security without interfering with your daily life. SureSafe is the trusted personal alarm supplier for several aged care properties across Australia. Our products are also used regularly in government initiatives like drug & alcohol outreach programs and pathology departments in hospitals. Our devices provide quick alerts, comprehensive security and easy access to emergency services so that you or your loved one can receive treatment as soon as possible whenever required. We offer free shipping Australia-wide and a 12-month warranty for all our products, giving you even more peace of mind for protecting yourself or your loved ones. SureSafe is proudly included in the NDIS (National Disability Insurance Scheme), which ensures better and more comprehensive services and support for people with disabilities. Our devices and emergency systems are categorised in the NDIS’s Assistive Technology or Consumables funding, and we can even use our access to the NDIS portal to simplify and speed up your ordering process. With this access, you can get the personal alarm and emergency response products you need sooner and more easily. The SureSafe GO ‘Anywhere’ Alarm provides complete coverage of your loved one no matter where they go. This device uses SIM-based mobile coverage, so they can take it anywhere with them and still get covered for monitoring. A simple, one-touch button sends an emergency alarm to responders, ensuring your loved one can get help quickly when they need it. Call and text feature – activates a voice call feature and sends text alerts to emergency contacts when the SOS function is triggered. This feature also enables two-way communication, allowing the user to speak into the device like a regular phone. Pendant design – small and lightweight so you can take it anywhere more easily. Built-in “Find Me” feature – locates the pendant (and its wearer) quickly by sending a PING request. Automatic fall detection – activates an alarm automatically when a fall is detected, unlike other alarms which are only activated manually by the wearer. Excellent battery life – lasts for approximately 3 days with normal use and can even be set up to extend battery life in low-use settings. It also charges fully in about 2 hours using a hyper charging station. Our Friends and Family Alarms are designed to provide quick and instant communications with your loved one during an emergency. These alarms feature a simple alarm button that your loved one can press to immediately alert you or other emergency contacts if an emergency occurs. 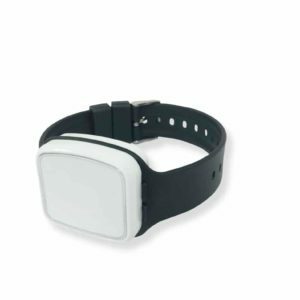 Our Friends and Family Alarms are available in wristwatch and pendant versions, which are then connected to your SureSafe alarm system for 24/7 coverage. Falls are among the most common health threats to the elderly and disabled, so it’s important to provide them with alert systems that can notify authorities and request help as soon as possible if a fall did occur. The trouble with many personal alarm devices, however, is that falls and slips can often render the person unable to send an alert (i.e. when they lose consciousness, become paralysed or immobile). That’s why we offer a variety of automatic Fall Detection Alarms, which sends alerts automatically and requests help even without manual activation. These alarms are built with fall detection technologies that automatically senses falls or slips so that help can be on its way sooner. We offer a line of Talking Pendant Alarms that provide two-way communication between wearers and respondents. These fully-mobile GPS medical alarm systems ensure that your loved one can converse with a respondent readily in times of crisis or emergency. Most other medical alarms only allow communications from a central alarm system in a room or designated area, but our ‘Anywhere’ alarm allows communication from the mobile unit itself. If you want complete coverage for your loved one, then the SureSafe 24/7 Connect will provide the comprehensive monitoring that you need. This system offers full coverage of your loved one in and out of your home, ensuring they always have access to an emergency response system. This complete package includes a variety of personal alarm devices and medical alarm systems that work together to provide instant alerts and communications when they’re needed most. All personal alarm products shown on our website can be purchased online and dispatched Australia wide. For more information on our products or if you’d like assistance placing an order, call us on 1300 739 991, send us an email at info@personalalarms.net.au or visit our contact page to fill in our contact form. Why pay for postage? Enjoy free shipping on all Australia orders! 12 month warranty on all purchases, some products have lifetime warranty!